Yesterday, on a Good Friday afternoon, the PHS Dragons varsity baseball team welcomed the Ridgeland Panthers to Dragons Field for the final game of their three game set. After the Dragons took game 1 on Tuesday, the Panthers came back and snagged game 2 at their place on Thursday. 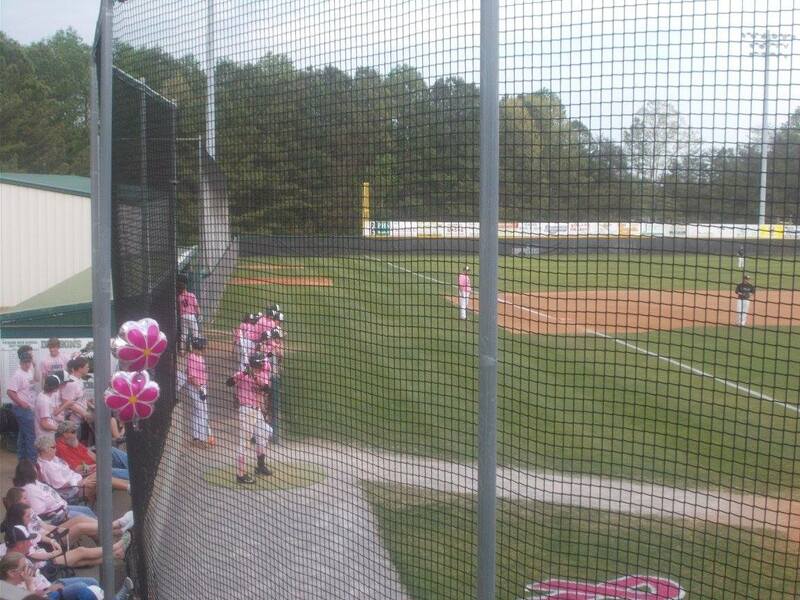 Prior to the ball game, PHS recognized & honored women & families affected by, and going through breast cancer. Senior Dalton Sipsy started for the Dragons and what a game it turned out to be a part of. Ridgeland struck first in the top of the 1st, as they were able to connect for a three-run home run to take a 3-0 lead going to the bottom of the frame. Pickens cut into that lead when Wyatt Gooch knocked in Travis Huffman on a sacrifice fly to make it 3-1 Panthers going to the 2nd. Ridgeland added to their lead by driving in two runs to make it 5-1 going to the bottom of the 2nd. Pickens would lead a runner stranded at first after a 1-out walk & we headed to the 3rd, Panthers leading Pickens, 5-1. The Panthers again added a pair of runs in the top of the 3rd to increase their lead over the Dragons to 7-1 going to the bottom of the inning. sensing the urgency, the bats for Pickens started to get going in the bottom half of the 3rd as 3 runs would come to score on 5 hits including RBI hits from Jace Franklin, Dominic Stephens, & Joseph Gossett, to cut the Ridgeland lead down to 7-4 going to the 4th. Sipsy added his 3rd & 4th strike out of the game in the top of the 4th and kept the deficit at 7-4 going to the bottom portion of the 4th. The Dragons chipped at the Ridgeland lead even more when Franklin drove in T. Huffman with an RBI double to make it 7-5 Panthers going to the 5th. The 5th was the final inning for Sipsy and again he did a good job of not giving Ridgeland anything and keeping the Panther lead at two and getting the suddenly hot bats of Pickens back up. A lead off double by Dalton Presley, would hurt the Panthers as Zack Moore drove in Andrew Hasbrouck, who was courtesy running for Presley. Joseph Gossett would eventually come around to score as well after he followed up Presley’s double with a single, advanced to 3rd after multiple passed balls, & came in to score after Dylan Huffman reached 1st base on an errant throw, to tie things up at 7 going to the 6th. Hasbrouck came in to pitch the top of the 6th for the Dragons & worked around two hit batsman to get out of the inning with no damage done. After leading off the bottom of the 6th with a single, and advancing to 3rd on miscommunication by the pitcher & catcher from Ridgeland, T. Huffman came in to score the go ahead run on a Stephens sacrifice fly. The Dragons had their 1st lead of the game at 8-7, going to the 7th. Pickens called on Stephens to finish the game out and finish it out he did. Stephens would strike out the side in the top of the 7th to seal a crazy, come from behind 8-7 win over Panthers. Pickens will now turn their attention to Southeast Whitfield as they finish up the regular season with a three game set with the Raiders. As it stands now, the Dragons are in 3rd place in 6-AAAA with a 9-6 mark & have a 15-9 overall record. Senior Night will be this coming Tuesday at Dragons Field. First pitch is scheduled for 5:30 p.m. The Pickens Dragons had a tough go of it against the Heritage Generals on Thursday, as the team managed just two hits and lost by the final score of 5-1. « Previous Article But Is It True? 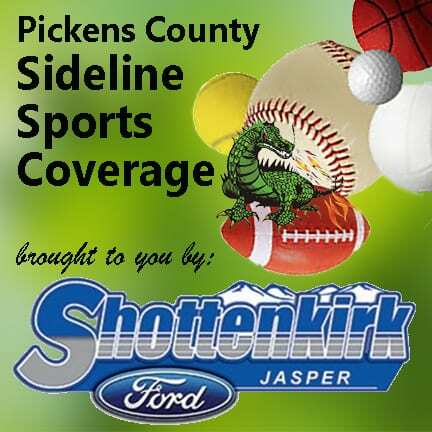 The Pickens Dragons’ baseball team went .500 in their two games on Thursday and Friday, as the team defeated the Cedartown Bulldogs 9-0 and then lost to the Lafayette Ramblers 4-0 the following day.